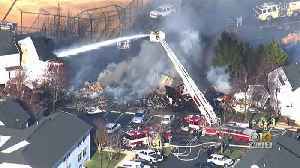 Authorities in Maryland say two people are dead and eight firefighters have been hurt in a multi-alarm blaze in which four town houses collapsed. 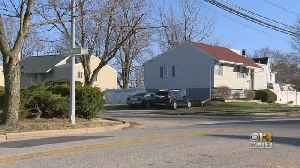 The Baltimore County Fire Department honored a 9-year-old boy who saved his grandparents from a house fire in May. 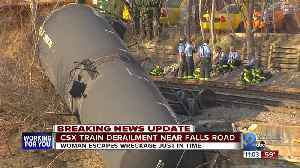 Baltimore Fire crews and police are at the scene of a CSX train derailment near Falls Road in Baltimore. 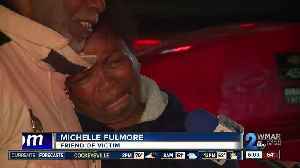 Police said a 31-year-old woman approached a mother and her 11-year-old son in a playground in Baltimore's Cherry Hill neighborhood Thursday before opening fire. 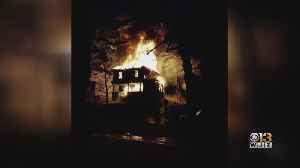 A house in Baltimore City was destroyed after being engulfed in flames early Thursday morning. 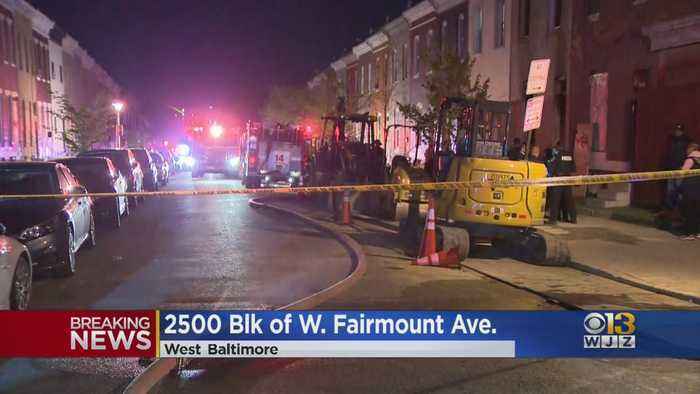 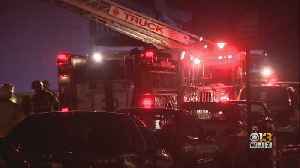 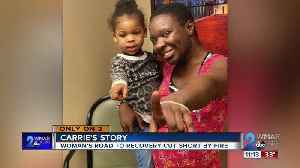 A woman's body was found on the second floor of a home on fire in Southwest Baltimore.